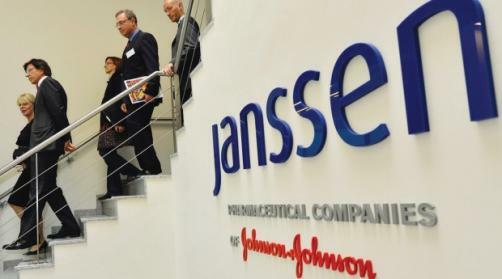 US regulators have approved Janssen Pharmaceuticals’ Olysio, a new therapy to treat chronic hepatitis C virus infection, after a priority review. Protease inhibitor Olysio (simeprevir) blocks a specific protein needed by the hepatitis C virus to replicate and is approved for use in combination with peginterferon-alfa and ribavirin. It will be used in treatment-naïve adults with compensated liver disease - that is, a diseased liver that is still functioning - which may include cirrhosis, or patients for whom previous treatment has not been effective. The approval comes as European regulators are set to approve another hepatitis C treatment, Gilead’s Sovaldi (sofosbuvir), after the CHMP recommended the drug last week. A key FDA panel has already given its own verdict on Sovaldi, the first without interferon for hepatitis C, by recommending it for US use - and the FDA is due to make a final decision next month. In 2011 the FDA approved two other drugs for hepatitis C, both in the protease inhibitor class: Merck’s Victrelis (boceprevir) and Vertex Pharmaceuticals’ Incivek (telaprevir). It is a potentially lucrative area for manufacturers: the market for hepatitis C drugs could rise to being worth more than $100 billion over the next decade, according to Bloomberg Industries. The viral disease - estimated to affect over three million Americans - causes inflammation of the liver and can lead to that organ’s failure: the virus can go on to cause bleeding, jaundice, fluid accumulation in the abdomen, infections or even liver cancer. Five clinical studies of Olysio showed that in 80% of treatment-naïve patients receiving Olysio plus peginterferon-alfa and ribavirin, the virus was no longer detected in the blood at least 12 weeks after finishing treatment (sustained virologic response), suggesting the infection had been cured. Of those patients receiving placebo plus peginterferon-alfa and ribavirin, only 50% achieved sustained virologic response. In one study, 79% of patients in the Olysio arm whose infection returned achieved sustained virologic response, compared to 37% in the placebo arm.